America’s prosperity is often tied to boom-and-bust cycles that are based on access to valuable natural resources. We had the gold rush, the oil boom, and now…the ginseng grab. 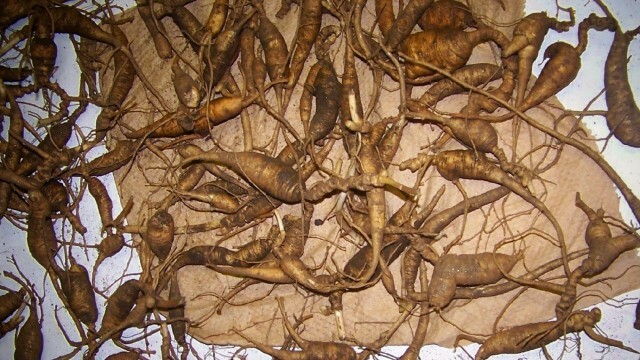 Ginseng is a fleshy root often used in energy supplements and herbal medications. In China, it is prized as a spirit herb with various medicinal, stress-relieving, and libidinal benefits. While the plant can be grown in simulated settings, the wild versions are usually bigger, heartier, and more desirable. “As far as people being able to walk in the woods and see ginseng,that basically does not exist anymore,” Jim Corbin, NC Dept of Agriculture. Wild ginseng only grows in select cool climates, such as North America’s Appalachian Mountains and the Himalayas in Asia. With supply limited to a few remote areas and demand on the rise, wild ginseng has become an unlikely — and extremely valuable — cash crop. One of the places in the U.S. where wild ginseng flourishes is along the Blue Ridge Parkway, in the Great Smoky Mountains National Park dividing Tennessee and North Carolina. While it is legal to harvest ginseng on private property, it is against the law to remove ginseng (or any other plant, for that matter) from state or national park lands without a permit. But with wild ginseng roots fetching up to $800 a pound on the black market, the region has seen a marked uptick in illegal poaching. 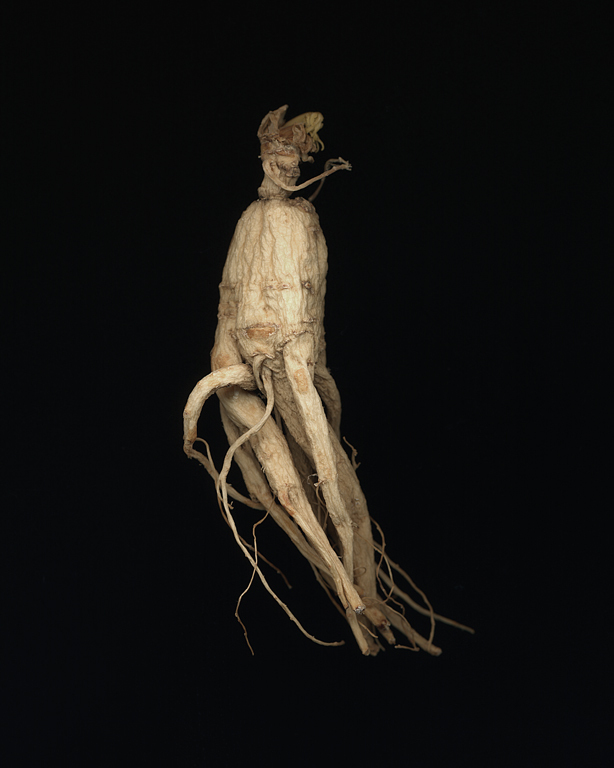 This depletion of the ginseng population has conservationists and ecologists worried. 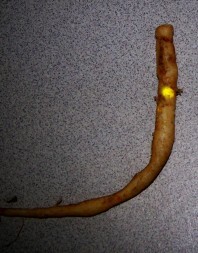 Ginseng is an important understory herb. It plays a role in the nutrient cycle by contributing to the growth of fungi and other decomposers along the forest floor. Scientists have determined that a minimum of 50 plants in one location makes a population viable for future generations. 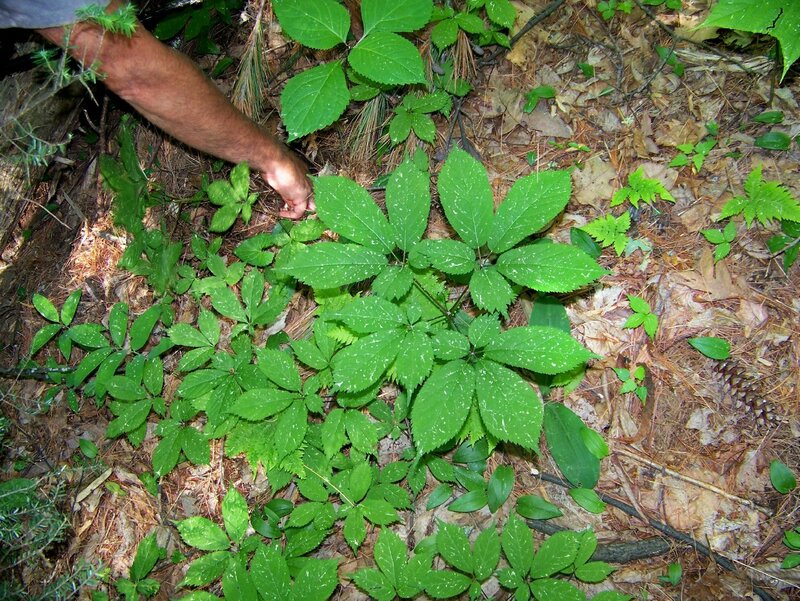 According to Jim Corbin, western district supervisor of the North Carolina Department of Agriculture and Consumer Services, the ginseng population in Smoky Mountain National Park does not come close to approaching those numbers. “As far as people being able to walk in the woods and see ginseng, that basically does not exist anymore,” said Corbin. With less than one park ranger for every thousand acres of terrain, there’s no way to monitor every inch of the Great Smoky Mountain National Park against would-be ginseng poachers. That’s why officials are relying on technological advancements and scientific procedures to deter people from digging inside the park. 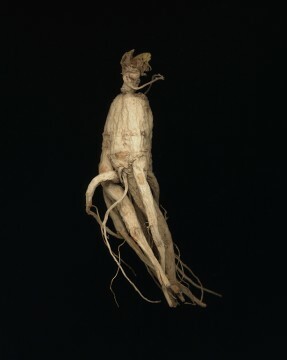 “We needed some indicator to show us, basically, that [those ginseng roots] actually did come from the park,” Corbin explained. Officials came up with a system that has been described as a cross between conservation and CSI. The first step is locating wild ginseng patches. Every year Corbin and his team go on a ginseng “blitz” and tag as many plants as possible. They apply specialized nontoxic dyes and powders that allow enforcement officials to trace the origins of each plant. The dyes are color coded for various parks, and the powders, which are invisible to the naked eye, can only be seen with specialized black lights. When law enforcement officers encounter someone they suspect of poaching, they can seize the plants onsite and identify their origin based on the tagged information. If further identification is needed, the plants can be sent to a lab for soil, chemical component, or DNA testing. Poachers who are caught on state land with illegally collected ginseng outside the allotted harvesting season can face thousands of dollars in fines. If the roots are found to be from a federally protected national park, the suspect may face a prison sentence. Last year a Virginia man was sentenced to 15 days in jail after pleading guilty to poaching seven pounds of ginseng along the Blue Ridge Parkway.